Want to spend the weekend at the heart of the action? 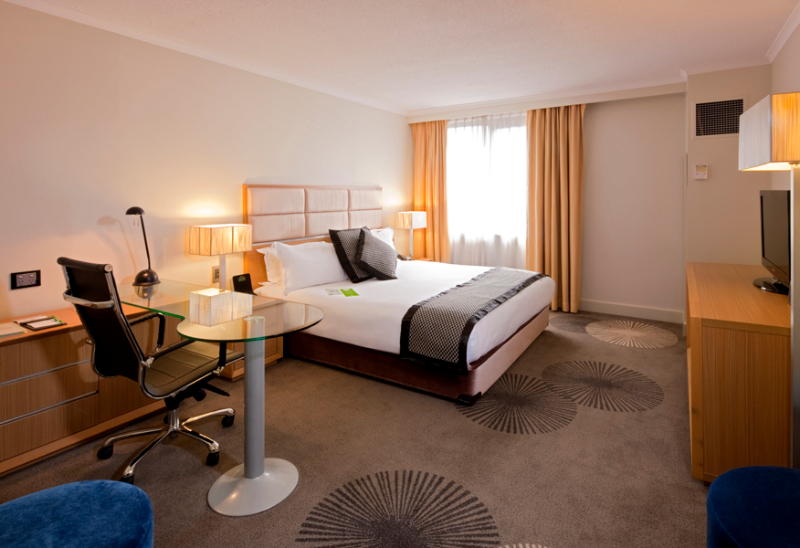 The Holiday Inn, Parramatta has made the following rooms available for our attendees at the rate of $185 per night. A buffet breakfast is available at the time of booking for an additional $15 per person per day. The hotel’s facilities for guests are open daily and include a heated outdoor pool and spa, gym (with weights and exercise machines), lobby bar, restaurant and business centre. IMPORTANT: A bond of $150 is required by the Hotel on your arrival. Room 801 attendees, including guests staying overnight at the Hotel, are solely responsible for any damage they may cause to Hotel property, fixtures and fittings. The Room 801 organisers will hold you financially liable for any such damage and may blacklist you from attending future conventions if deemed necessary. You can book a room at the hotel through your favourite booking website or agent, via the hotel website, or you can use our Accommodation Booking Form to make a booking directly with the hotel for the above room types (including buffet breakfast). You can call the hotel’s reservations team on 02 9689 9938. We will include additional accommodation options for the local area in our location guide once it’s updated. You may be tempted to stay in a hotel in the Rosehill or Wentworthville areas, but please note that these are both quite a distance from the convention, so you will need to factor in extra time and costs to travel to and from the venue.